Could Russell Wilson play under the franchise tag for next two years? Could Russell Wilson's demands cause him to play under franchise tag the next two years? 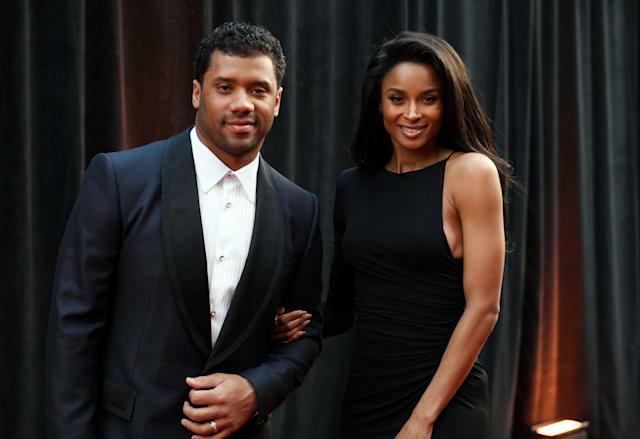 In January, though the news didn’t come out until earlier this month, Russell Wilson and his agent gave the Seattle Seahawks an April 15 deadline to get a contract extension done for the five-time Pro Bowler. Wilson’s current contract, signed in July 2015, is set to expire after the coming season. It’s April 15. Now what? Wilson’s agent, Mark Rodgers, has reportedly been in Seattle for the past three days to meet with Seahawks’ brass and hammer out an agreement. Wilson is Rodgers’ only NFL client — he’s usually an MLB agent — and it’s worth wondering how his experiences negotiating baseball contracts, which are quite different, is influencing their approach with Seattle. NBC Sports’ Peter King, citing a source, reported Monday morning that if Rodgers and Wilson are to be taken at their word, the pair will walk away from the table if a deal is not struck by end of Monday and won’t return at all to negotiate a long-term deal. Not during training camp, not next January or February, after the Seahawks’ season ends. No más. That gives credence to a story from Mike Florio of ProFootballTalk on Sunday night that the Seahawks believe Wilson doesn’t want to stay in Seattle, even though Wilson would never say that out loud. Early Sunday morning, Kansas City Chiefs safety Tyrann Mathieu tweeted that Wilson “wants New York,” which presumably means the Giants. Though the Giants have said they’re sticking with 38-year-old Eli Manning for 2019, Wilson is just 30, and is a dynamic quarterback. Trading for him would give the Giants stability at the position for another 8-10 years. One of the things King and Peter Schrager of NFL Network have reported is that Wilson is looking for a precedent-setting contract, with increases tied to the salary cap and not just a flat annual salary. He’s not the first player to make that ask, though teams haven’t been willing to agree to such a deal. But Kirk Cousins last year became the first player ever to get a fully guaranteed multi-year deal, and Wilson is well-positioned to get a history-making deal. King wrote that if a deal gets done, it would include language that allows for adjustments based on how high the cap goes on a year-to-year basis, allowing for increases that may come due to new television contracts or new revenue streams like gambling revenue. Wilson is gambling on himself in a way, because it’s not known what will happen beyond Monday. But the 75th pick in the 2012 draft has never missed a game in seven years, has orchestrated 23 career game-winning drives, has been to two Super Bowls, won one, and has helped Seattle to the playoffs in every year of his career but one. Franchise tags in his future? There remains one trump card the Seahawks hold over Wilson: the franchise tag. If a deal isn’t struck Monday, Seattle could be content to franchise Wilson in 2020 and perhaps beyond. The tag for quarterbacks in 2020 could be $30.3 million, and if Wilson was franchised in ‘21, he’d earn 120 percent of that ‘20 amount, or $36.36 million. Also in play, however: the collective bargaining agreement is set to expire in 2021. Would Wilson be content to play on the tags? King says he would. We might know more by the end of the day Monday. Or we might not.